My tree (pre decorating)! I was shocked when a parent brought this beautiful fake tree through the door. The tree is seriously like 6 feet tall! My kids adore it! I forgot to take a picture after our ornaments were up, but check these out! A mom in my class bought 25 plastic ornaments at Michaels. She sent them home with the students before Thanksgiving break. The students brought them back decorated however they wanted! They now hang on our tree, but we are going to take home a friend's ornament (after a secret exchange) the day before Christmas break. 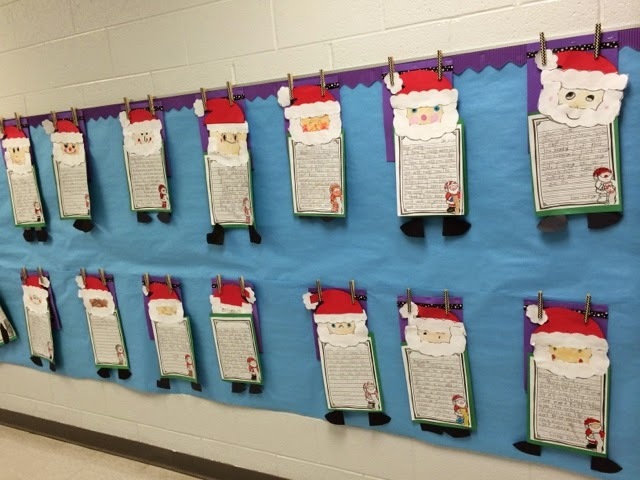 My teammates and I split up the poem "Twas the Night Before Christmas" and decorated outside our rooms based on our part. 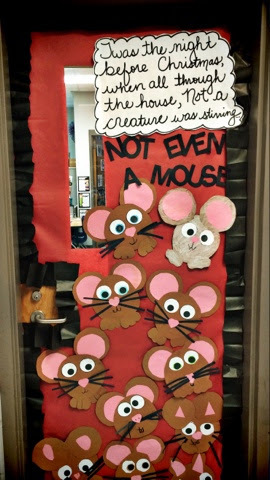 I found this mouse craft in Erica's If You Give a Mouse a Cookie pack and adjusted to my needs. I LOVE how it turned out! 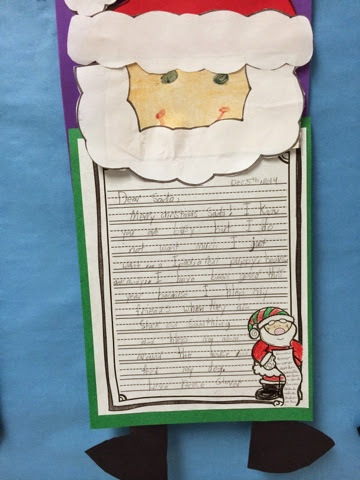 We also used a Santa craft from Amy's Christmas Craze Unit to beautify our Santa letters for the hallway! 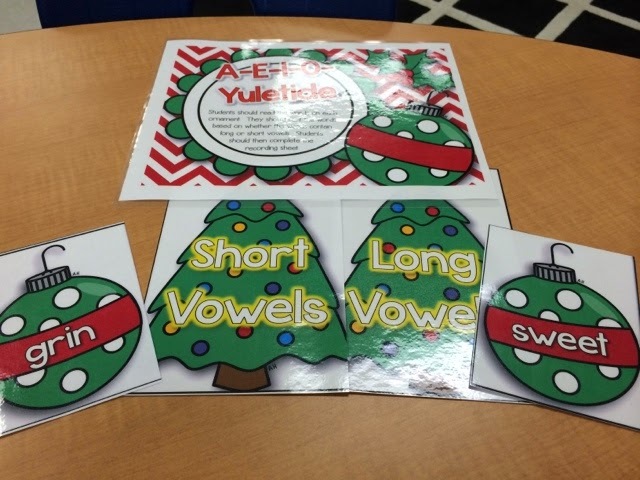 This center is perfect for me to use with my low kids to review phonics skills! The next two pictures are just for fun to get you in the Christmas Spirit! 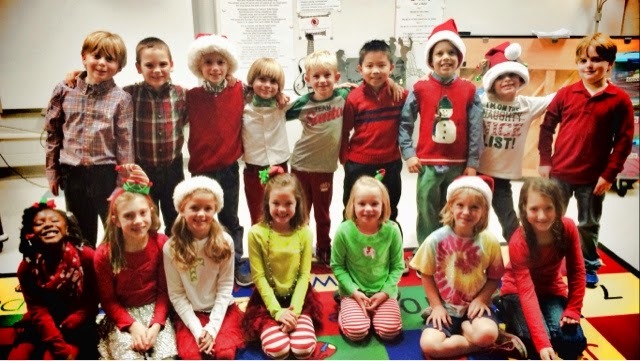 SOME of my cuties before our Christmas performance! And my own personal reindeer! I am pretty partial to their cuteness! 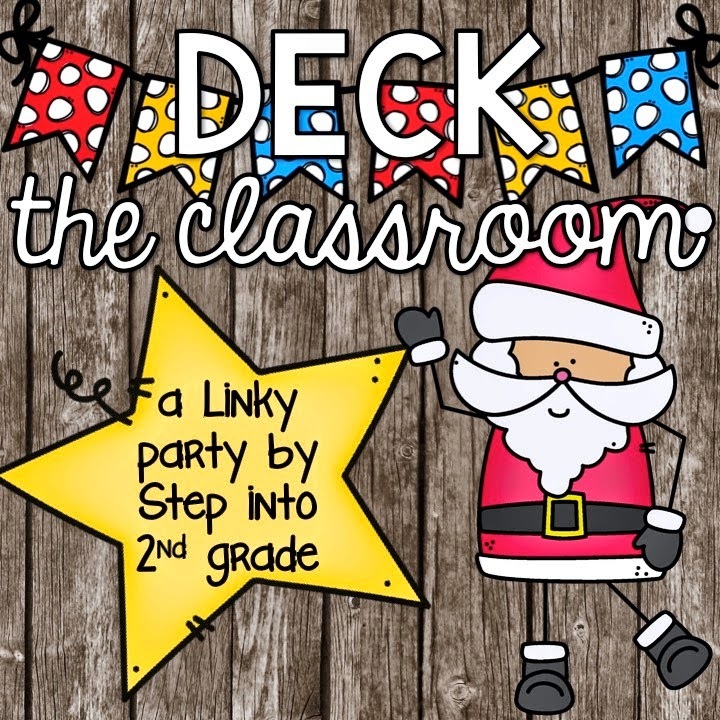 Thanks for the fun link-up Amy! 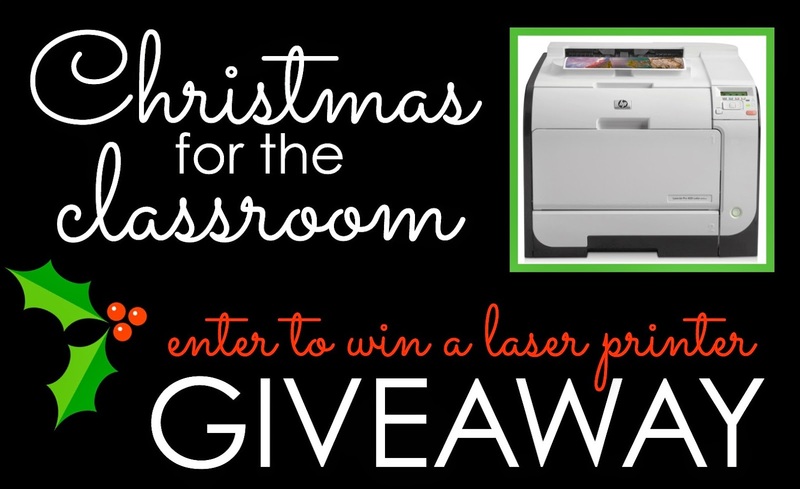 Laser Jet Printer Giveaway AND Mentor Texts Giveaway! 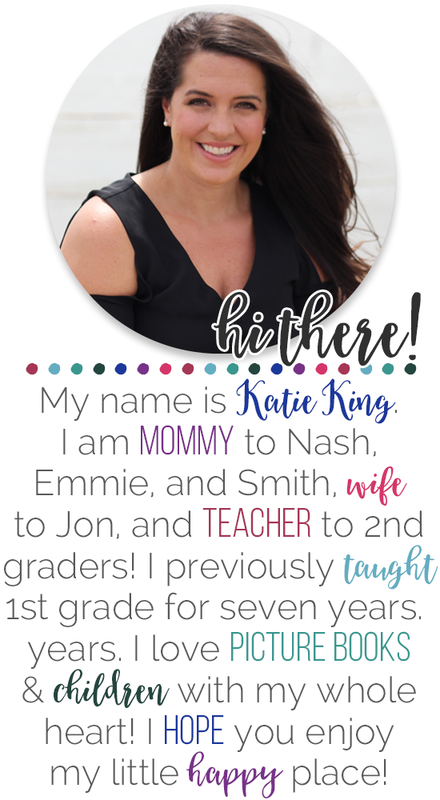 I am just giddy over this AMAZING giveaway that I am participating in with some great blogging friends! When Maria from KinderCraze contacted me about participating in this giveaway, I jumped at the opportunity! 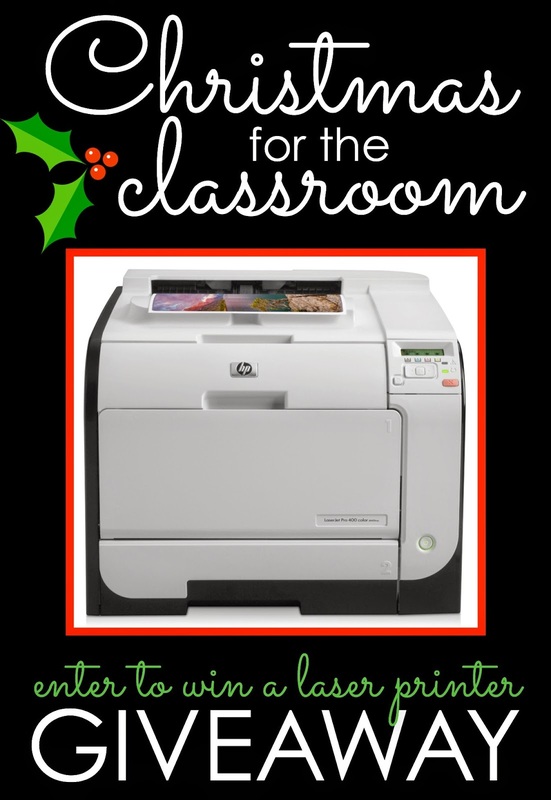 I mean what teacher wouldn't LOVE an amazing, brand new laser jet printer?!?! This amazing giveaway actually has two parts. One winner will win the printer, and fifteen lucky winners will win a smaller giveaway on each of our blogs! Keep reading ALL the way to the bottom to enter my giveaway and then use the linky party to enter the other giveaways as well! The giveaway will end at midnight on Friday, December 12. 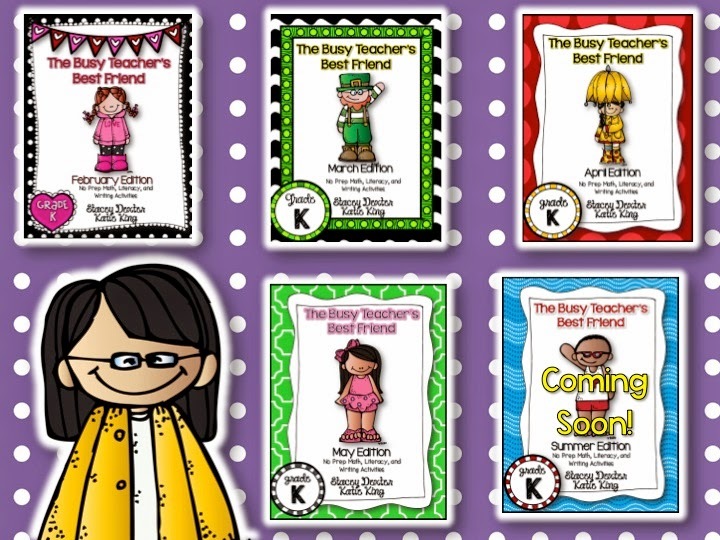 For my personal giveaway, I am going to give one lucky reader three of my favorite books to use in Writers Workshop. If you know anything about me, you know that I am a HUGE advocate of a workshop model. 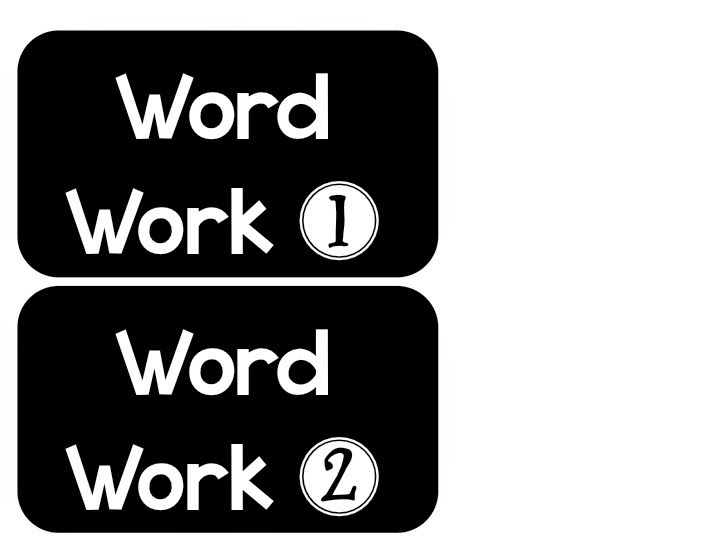 Teachers at my new school are all implementing Writers Workshop, and I can't wait to see the effect it will have on our school! 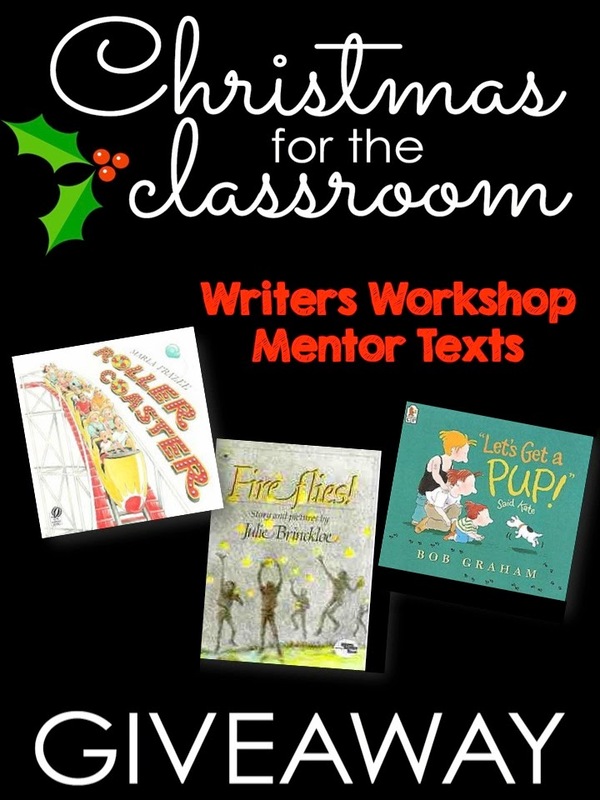 Mentor texts are essential to a workshop's success. 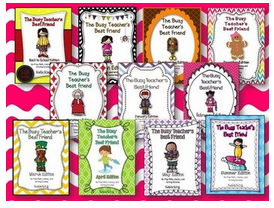 Students learn the craft of writing from these texts and then apply them to their own writing. The three books that I am giving away Roller Coaster by Marlee Frazee, Fireflies by Brinckloe, and "Let's Get a Pup" Said Kate by Bob Graham. These three books were crucial in my Personal Narrative unit of study. 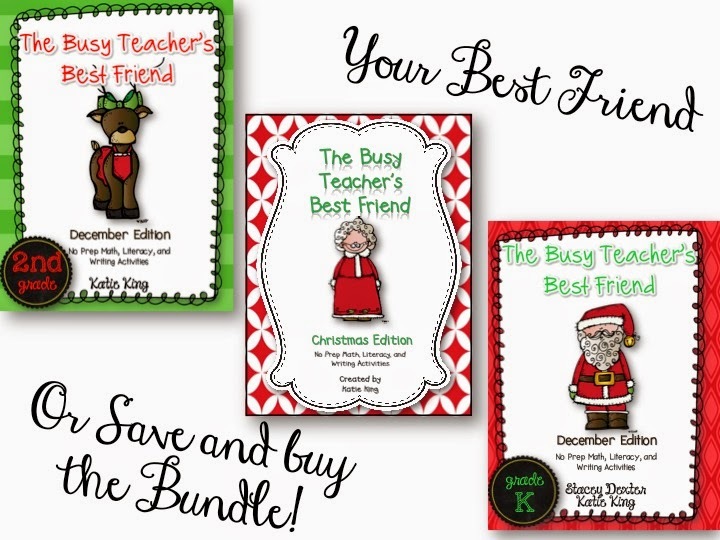 I will send you all three of these books to use in your classroom! 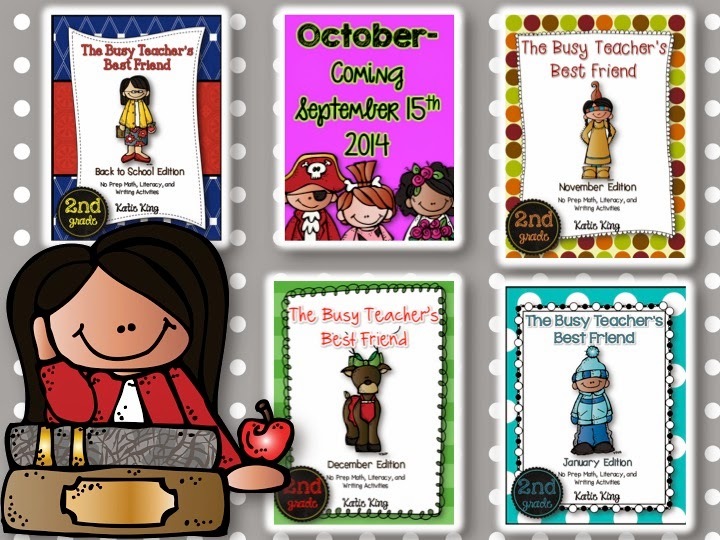 I cannot wait to share my love of these books with a lucky winner! 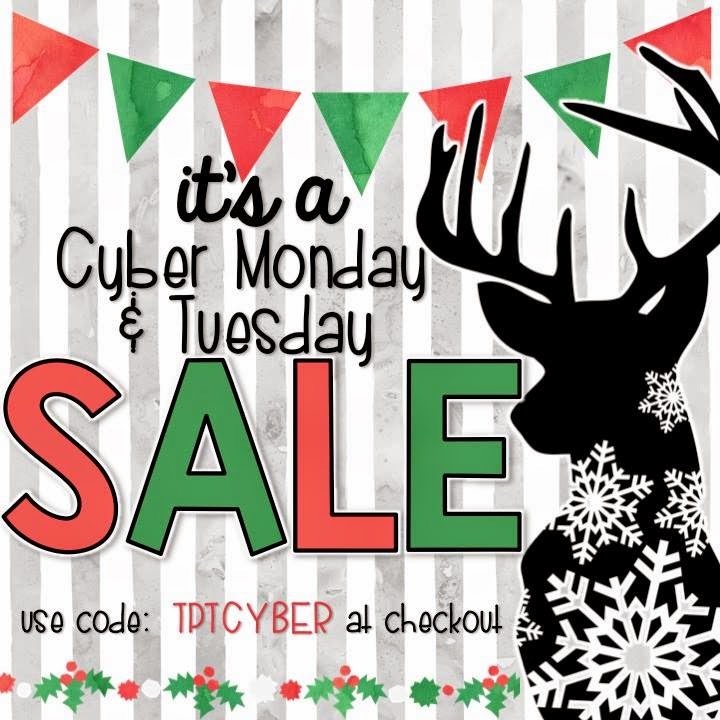 Please, please, please check out the giveaways on my good friends' blogs! My Reading Block: What they are doing? 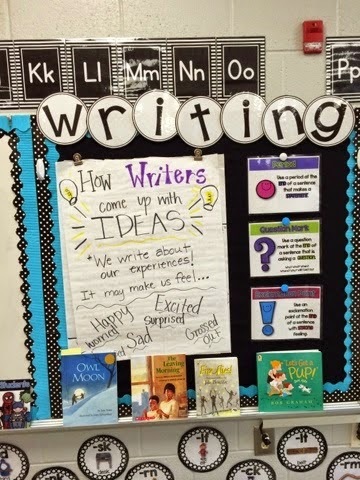 I came from a school in Kentucky that very proudly taught Readers and Writers Workshop. I had mentors that guided me through the basics and encouraged professional reading of books like my all time favorite Debbie Miller's Reading with Meaning. As Daily 5 took the blogging world by storm, I started to become intrigued. I have read a lot about it and incorporated what works for me. Out of all of that, this is a look at what goes on in the hour and forty minutes of my Reading Block. I meet with my kids for 20-30 minutes whole group. I typically focus on 1-2 books the whole week. 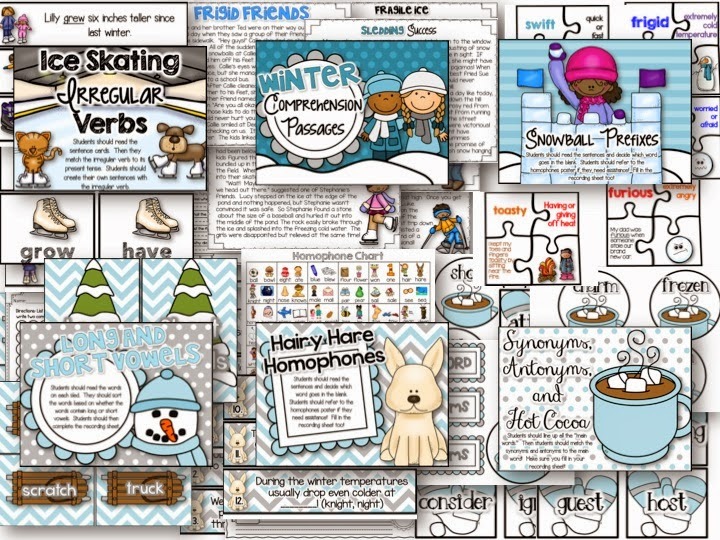 During the time we hit comprehension strategies, literary elements, and vocabulary. My students will follow up with some kind of writing, but during my whole group time they are all gathered at the carpet listening, interacting, and thinking! I will come back to this part of my day a little more in a later post, but for now I want to focus on what my kids are doing when they are independent during Readers Workshop. 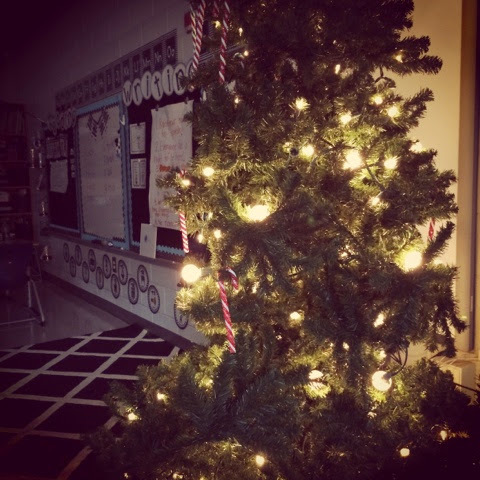 After we meet my students are given three "Must Do's." 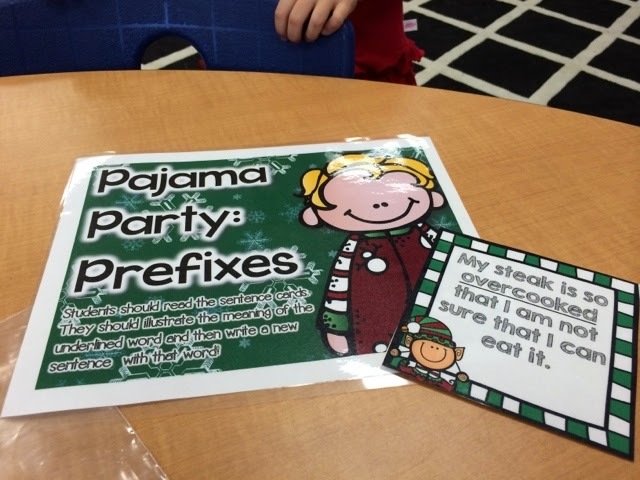 Must-Dos usually include comprehension activity, fluency, and word work. 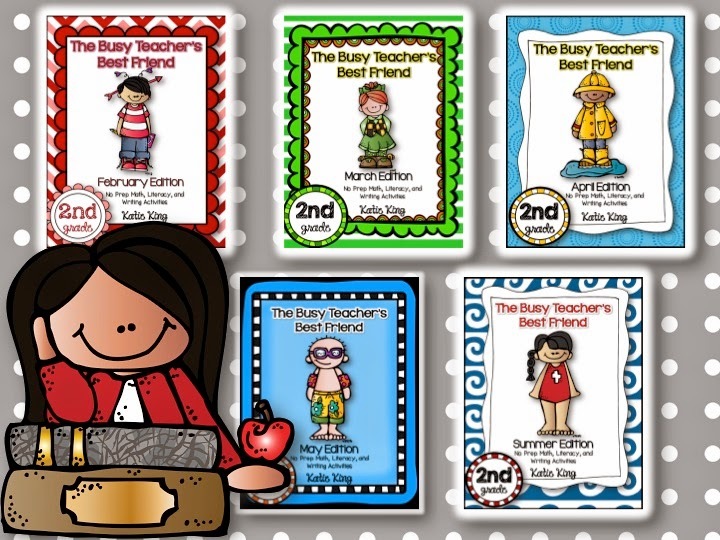 After they have completed the three activities, then they are free to make Daily 5 choices. Here are some samples from one of my student's Reading Response Notebooks. Please excuse the poor lighting!!! These drawers have made a HUGE difference for my management wise. I fill all eight of these drawers up and students can make the choice to go to them after their Must Do's are done. My kids love them, and they are always in use! Here are some of my kids when they have finished their mandatory work! 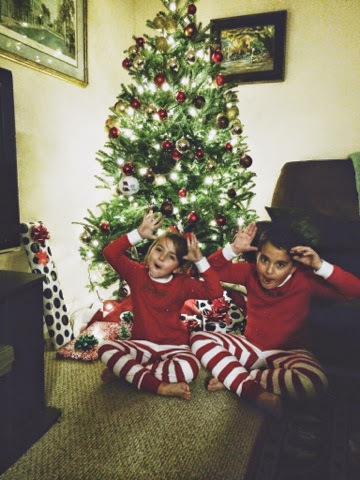 I LOVE how well my kids get along this year! I will be back soon to talk about "What I am doing?" when these kiddos are working so hard! 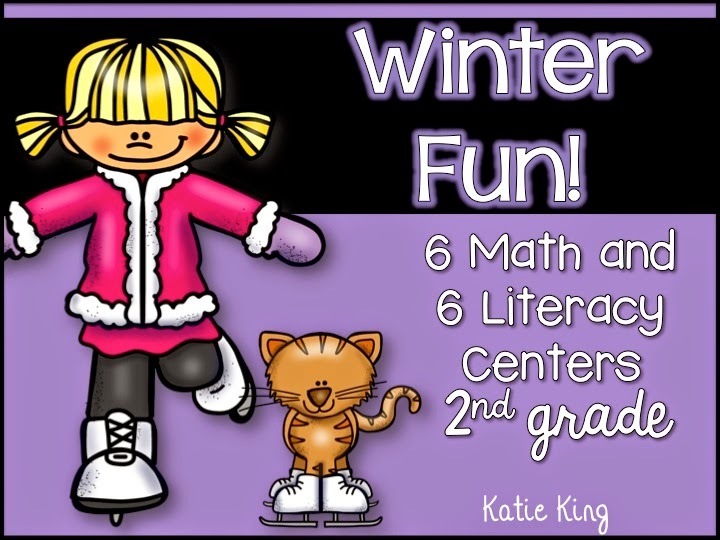 Last year I started making 2nd grade Literacy and Math Center Packets. ......and then I ran out of steam. Please tell me I am not the only one that this happens to?!?! 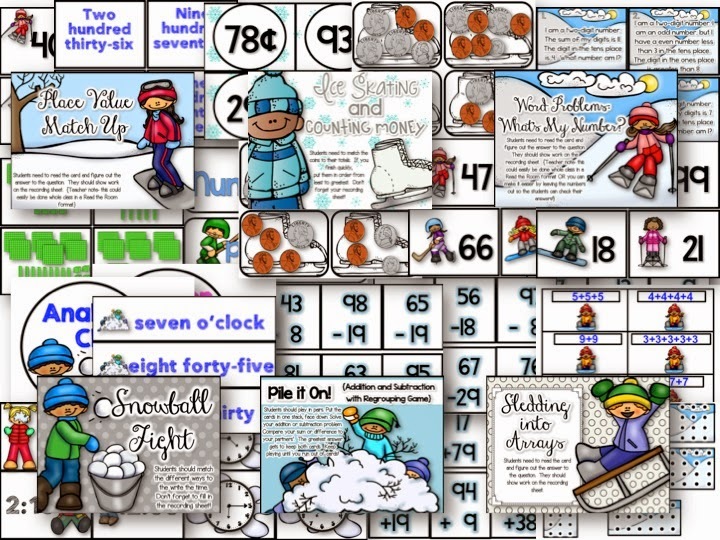 ....and now Winter Fun (January). Cross my heart, girl's scout honor- I WILL make it all the way through the year! I LOVE these packets. And I love having them finished. Ha! If you are interested in checking this packet out, click on any of my pictures to head to my store! 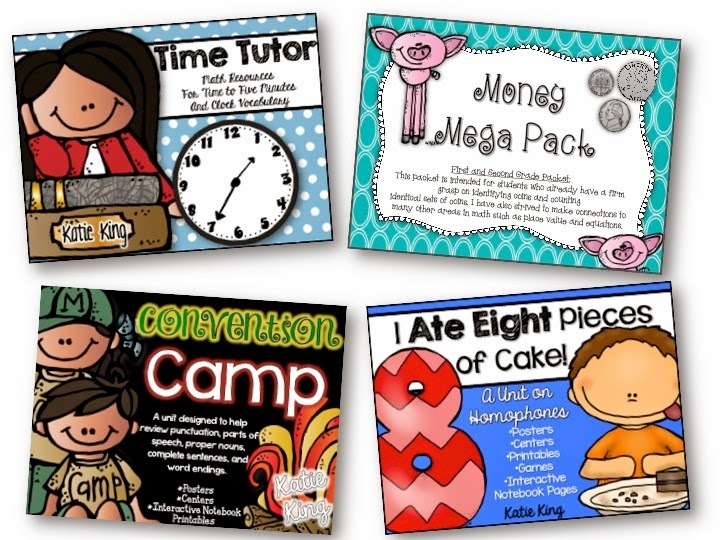 It's amazing how much time and effort goes into these packs, but I know my kids love them and learn so much from them so it is definitely worth it! 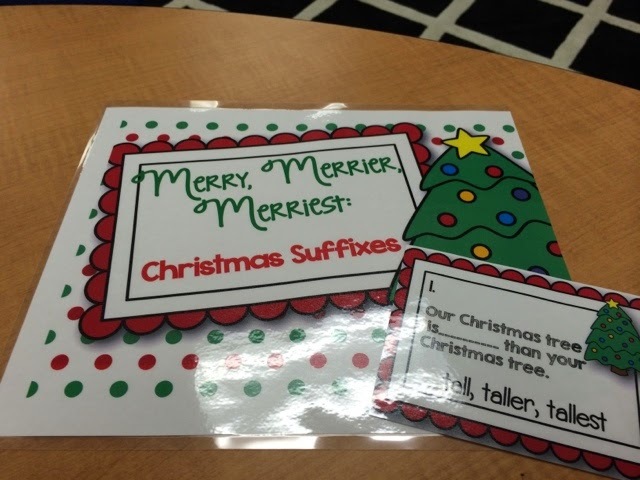 If you are a 1st grade teacher? Do not fret, I have you covered too! Here's a sneak peek at some other goodies that will be helping me through the next couple of months! These are four of my FAVORITE units and it just so happens you can use them at any time in the year! 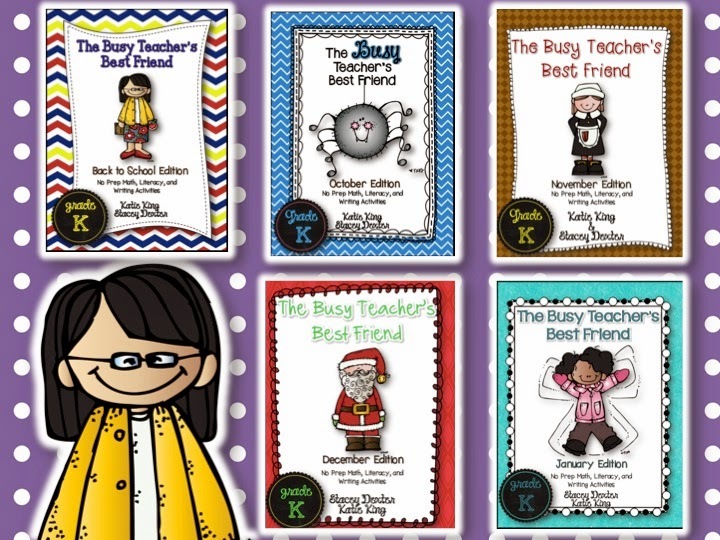 Or click on any of the pictures below to get to a Busy Teacher Bundle! PHEW! 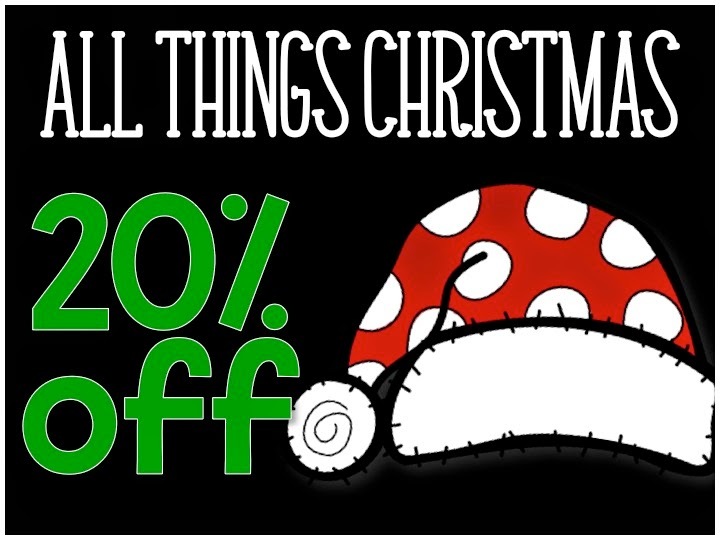 I hope you have fun shopping, because I know I will!